Last year we featured a few different Ozzie bands with gargantuan talents oozing out of the southern hemisphere. Jungle Giants were one of the troupe and today they’ve announced a few tour dates around the US & released an “official unofficial video” for the track Domesticated Man. Back in April there was a surge, yet again, of ear-meltingly brilliant and rather talented bands that were being churned out of Australia, and now, the beliefs are confirmed; there is a ‘Tim Burton-esque’ manufacturing plant in Australia manufacturing some seriously competitive Indie/electro/dream-pop sounds. 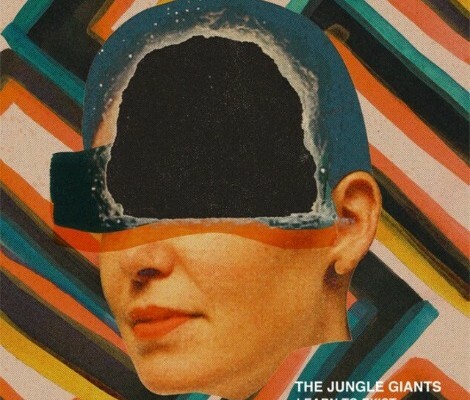 Jungle Giants are back with their recently released album “Learn To Exist” and this particular track “Domesticated Man” is a stand out. Indie-pop that snickers through a formidable sound of Brit-pop, with catchy riffs and woo’s and coo’s from the members, it’s light and fun – something we’ll always have time for.